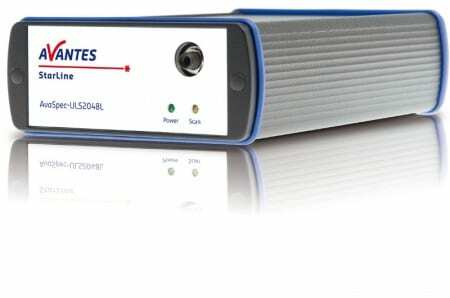 Avantes StarLine : Preconfigured Spectrometers | EINST Technology Pte Ltd.
Additional instruments in our preconfigured spectrometer series! For customers with urgent needs and general flexibility in their specifications, Avantes offers a variety of pre-configured spectrometers, which are ready to ship. Four of the instruments are configured for UV-VIS-NIR measurements (200-1100 nm), one for VIS-NIR (360-1100 nm), and one for the visible range (360-880 nm). 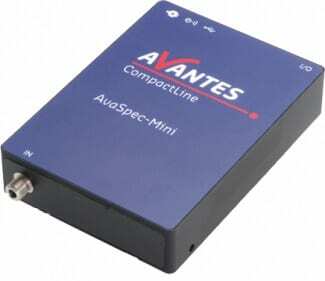 Avantes now also have a preconfigured spectrometer with replaceable slit (AvaSpec-ULS2048L-USB2-UA-RS). All configurations are priced at a discount off of list pricing and include an upgrade to AvaSoft-Full. Of course a USB2-cable and an extensive manual are included. Everything you need to start your experiments is included. These spectrometers are off the shelf and ready to ship. Now available in Avantes preconfigured series: The AvaSpec-ULS2048L-USB2-UA-RS spectrometer with replaceable slit. Perfect instrument for multipurpose measurements, offering ultimate flexibility! Completed with 4 different slit sizes in one handy slit-kit. Ready to ship now. AvaSpec-ULS3648-USB2-UA-25 UV/VIS/NIR spectrometer, 3648 pixel CCD detector, grating UA (200-1100 nm), slit-25, OSC-UA, DUV3648, USB2 high-speed interface, including USB interface cable and AvaSoft-Full. AvaSpec-ULS2048-USB2-UA-50 UV/VIS/NIR spectrometer, 2048 pixel CCD detector, grating UA (200-1100 nm), slit-50, OSC-UA, DCL-UV/VIS, DUV400, USB2 high-speed interface, including USB interface cable and AvaSoft-Full. AvaSpec-ULS2048-USB2-VA-50 VIS/NIR spectrometer, 2048 pixel CCD detector, grating VA (360-1100 nm), slit-50, OSC, DCL-UV/VIS, USB2 high-speed interface, including USB interface cable and AvaSoft-Full. AvaSpec-ULS2048L-USB2-BB-50 VIS spectrometer, 2048 large pixel CCD detector, grating BB (360-880 nm), slit-50, OSC, DCL-UV/VIS-200, USB2 high-speed interface, including USB interface cable and AvaSoft-Full. AvaSpec-ULS2048XL-USB2-UA-50 UV/VIS/NIR spectrometer, 2048 pixel backthinned CCD detector, grating UA (200-1150 nm), slit-50, OSC-UA, DCL-UV/VIS-200, USB2 high-speed interface, including USB interface cable and AvaSoft-Full. AvaSpec-ULS2048L-USB2-UA-RS UV/VIS/NIR spectrometer, 2048 large pixel CCD detector with Replaceable Slit, grating UA (200-1100nm), DCL-UV/VIS-200, OSC-UA, DUV, USB powered USB2 high speed interface. including Avasoft-Full. SLIT-KIT-SMA included (slit-25-RS preinstalled).